In Illinois, The Chicago Tribune reports that The Girl Scouts of Greater Chicago and Northwest Indiana annual event celebrated the achievements of leaders from the civic and corporate community and the impact they have on today’s girls. The annual Girl Scout Leadership and Innovation Awards: A Tribute to Achievement event was held on Monday, March 7, in Chicago. The event, which raised nearly $500,000, funds programming that prepares girls for careers in science, technology, engineering, math, environmental sciences, entrepreneurship, healthy living, arts, culture and global awareness. 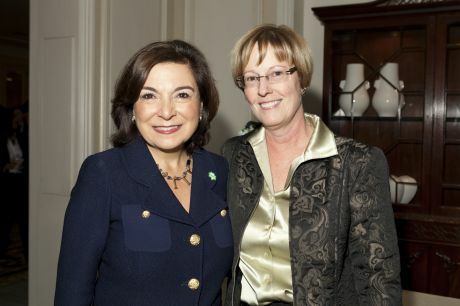 Similarly, The Detroit News reports that more than 400 people came out to support the Girl Scouts of Southeastern Michigan at the organization's annual Cookie Gala, where 13 chefs from some of Metro Detroit's finest restaurants served dessert creations with Girl Scout cookies as the main ingredient. For the past several years, WXYZ-TV (Channel 7) news anchor Glenda Lewis has been mistress of ceremonies and dubbed "Cookie Diva. "A highlight of the program was the introduction of Kyla Wright, a 14-year-old Cadette Scout from Detroit Troop 40393.A devoted Girl Scout for 81/2 years, Wright has been a consistent top cookie seller, topping 3,000 boxes in 2010. Tickets to the gala, which was co-chaired by Maggie Allesee and Irma Elder, started at $65, with proceeds supporting Girl Scout activities for the more than 30,000 girls in the Girl Scouts of Southeastern Michigan's eight-county jurisdiction. More than $80,000 was raised at the gala. Fundraising is a huge aspect of success in the nonprofit world. Do you have any fundraising success stories to share?